One citizen was martyred, and material damage was caused to houses when terrorist groups positioned in southwestern countryside of Aleppo fired shells on residential neighbourhoods in Aleppo city. 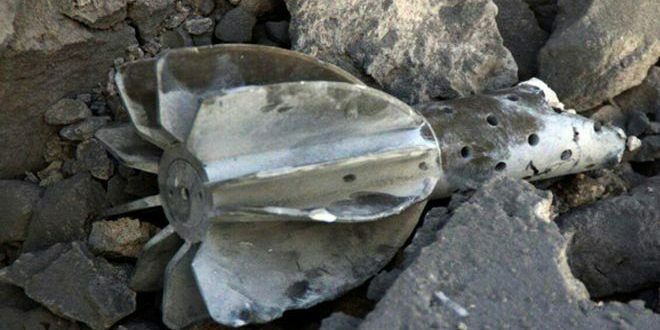 The local reporter in Aleppo said that the terrorists on Thursday evening fired a rocket shell on al-Sabil neighbourhood in Aleppo, martyring one citizen and causing material damage to a number of houses. The reporter added that the terrorist groups attacked with a rocket shell al-Mokambo neighborhood , causing only material damage. Units of the Syrian Arab Army have responded to the attacks by targeting the areas from which the shells were launched, inflicting heavy losses upon the terrorists in personnel and arms.